Analogue (VGA) and Digital (HDMI) ? There are a number of challenges for customers who are wanting to upgrade from analogue distribution systems to digital systems. It requires a proper discussion on what is required as digital systems require a number items to be managed in the process. Reality is that with the protection of HDCP on HD signals and the variety of source devices, each and every aspect needs carefully considered. Channel selection is important when considering traditional R.F. mic systems. The frequency ranges changed a few years ago and yet the redundant systems are still available for customers to buy online. We have a number of enquiries from people who have suffered with a lack of planning, understanding and knowledge from suppliers. There are alternatives to R.F. and subject to the application we can provide options. The world of HD video conferencing has changed a lot in the last few years as equipment costs have dropped and the access to multi-format connectivity has blossomed. No longer the preserve of executive level personnell, it is now a required working tool for all aspects of an organisation. It is important to identify your organisations needs and then a discussion can be had regarding 720p or 1080p resolutions and interoperability of end units to PCs, tablets and phones. For a long time access to multiple endpoints and devices was an expensive process and included an ISDN connection. The technology options and market have moved so far from that, that low cost I.P. connectivity with a cloud product acting as a bridge is very available from multiple vendors. For d3 the issue on planning a reduced risk service is based around the hardware and software interoperablity and stability.....if something goes wrong who`s throat do you choke? d3 have used front and rear `intelligent glass` in a number of aesthetically sensitive spaces. It is very effective and provides for a great alternative when stuck for traditonal and protected buildings that require sensitivity. It is also a very usefull product in corporate environments to present information and to be discreet in areas with. Aren`t all AV engineers the same? Absolutley not. 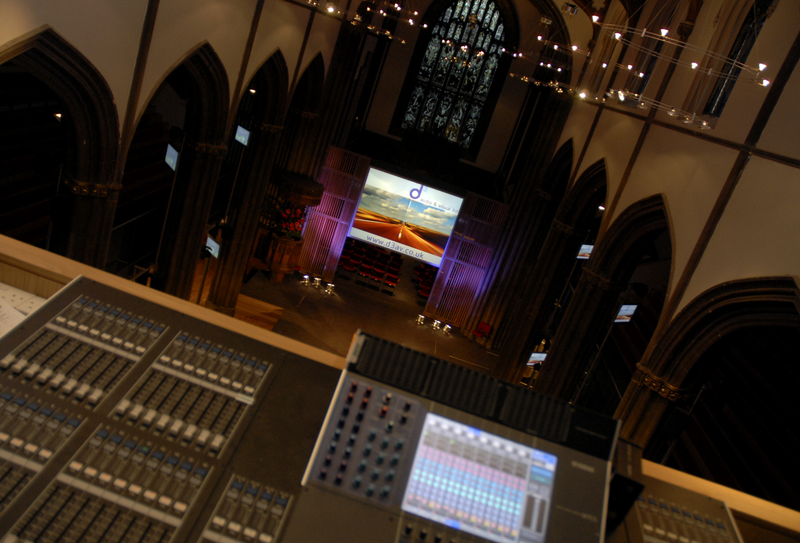 d3 have three tiers of experienced and qualified engineers who are knowlegable in the AV, Pro Audio and I.T. sectors. Many AV companies are self taught, with no formal industry training, and little ability to see evolving solutions. The d3 team are not interested in any project being `average` whether a small meeting room to a venue. d3 have worked all over the UK including some scottish islands, and have some work oversees in Europe. 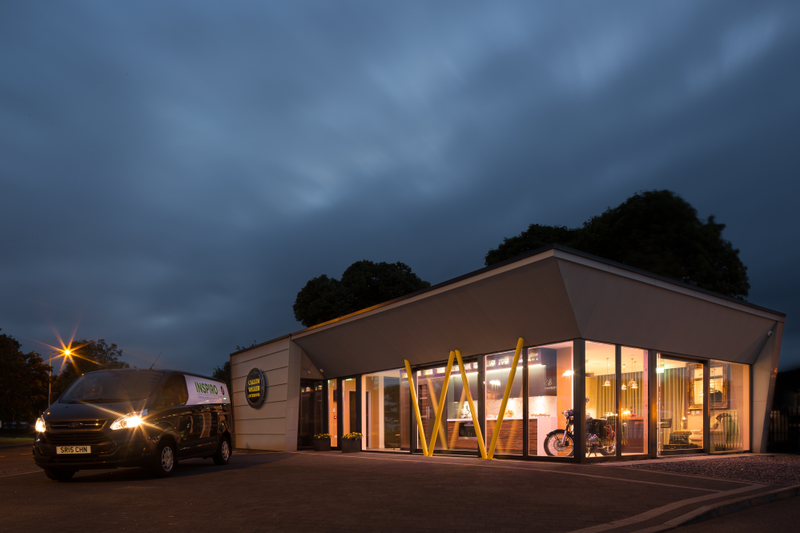 The design office is based in Scotland and engineering resource, whether d3s own or selected partners, are able to access most locations easily and without any premiums incurred. Please call Marc Heath on 07871 441221 if you would like to discuss a particular location. Do d3 maintain third party AV solutions? We are are very happy to service and maintain a customers existing AV solutions, on the basis that a full inventory is established with condition report and then we can create an agreement for the customers needs.